Check out the beautiful and brightly colored Blue Moon tiny home! 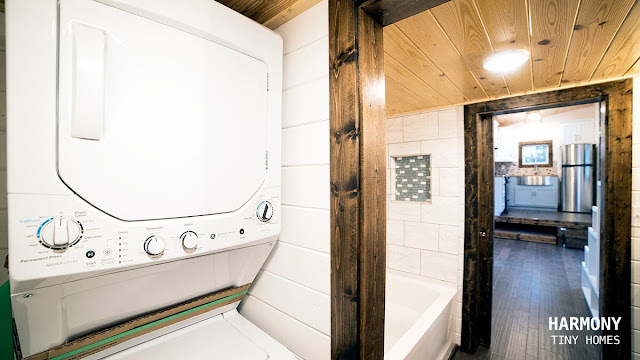 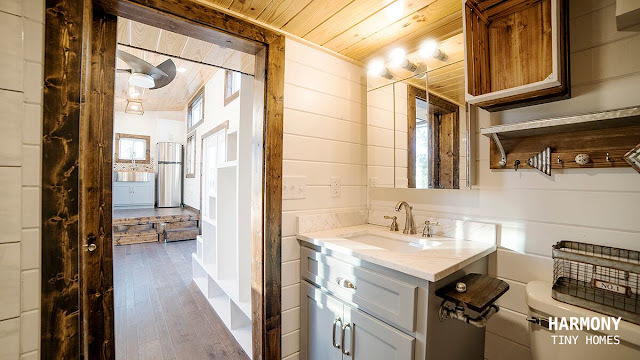 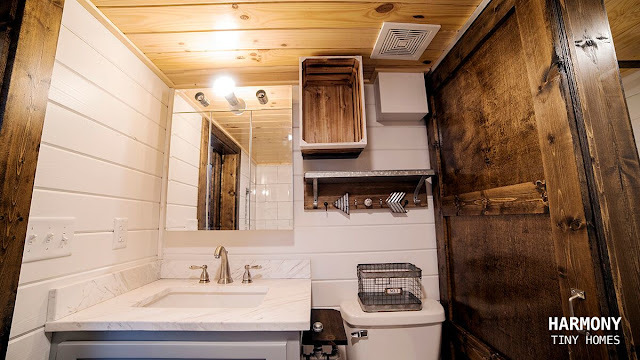 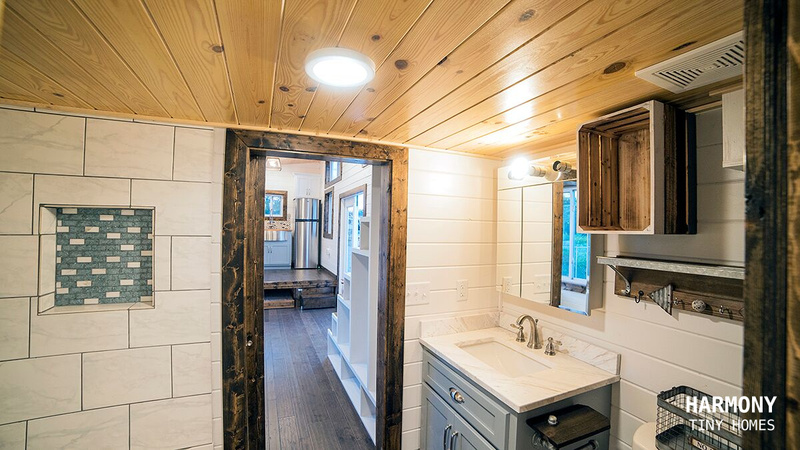 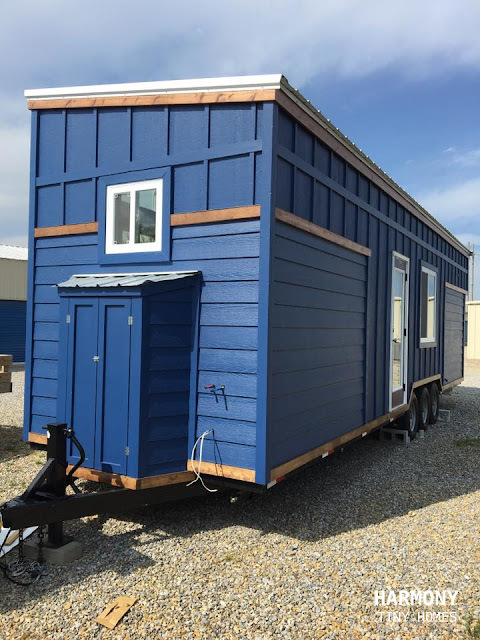 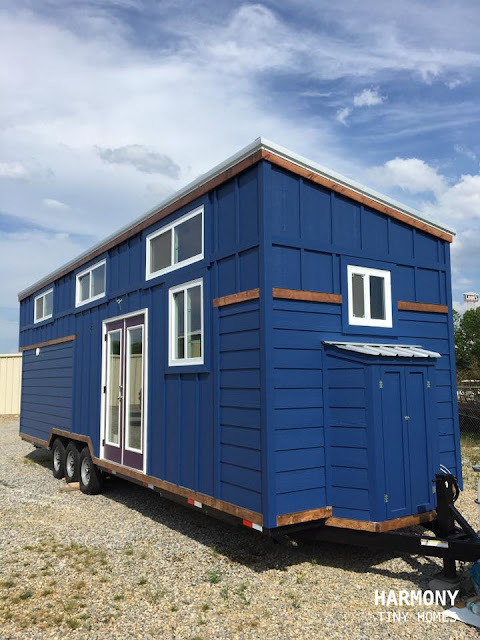 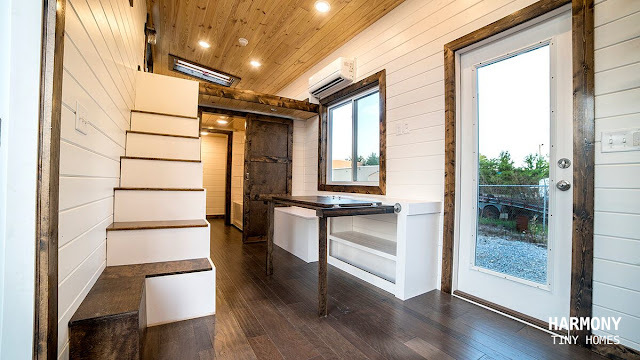 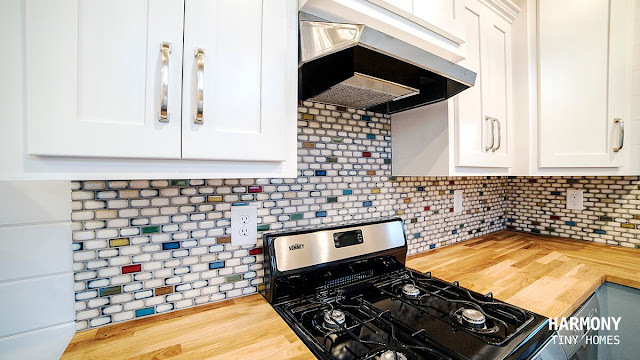 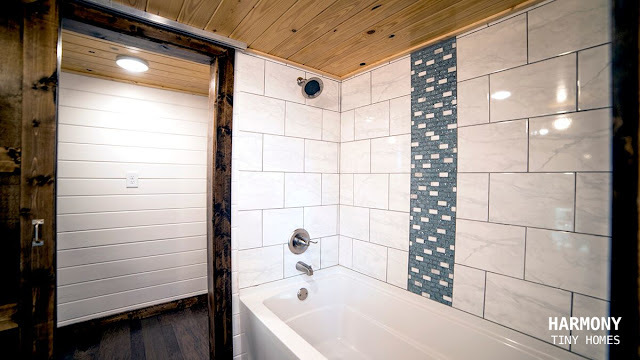 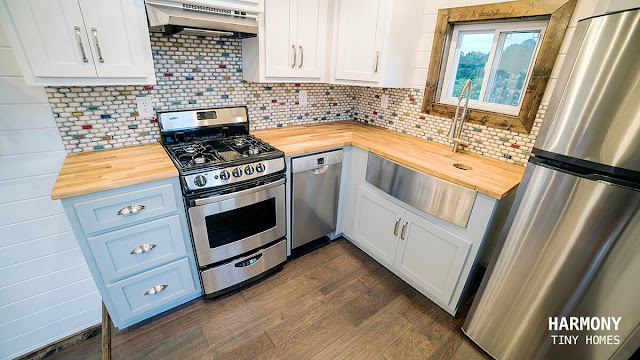 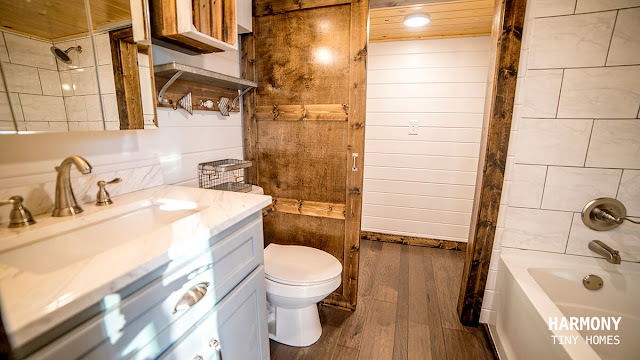 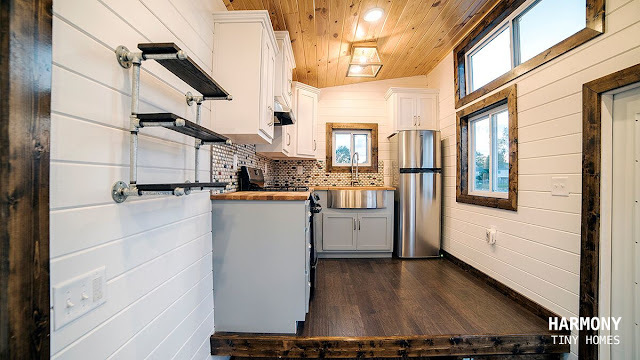 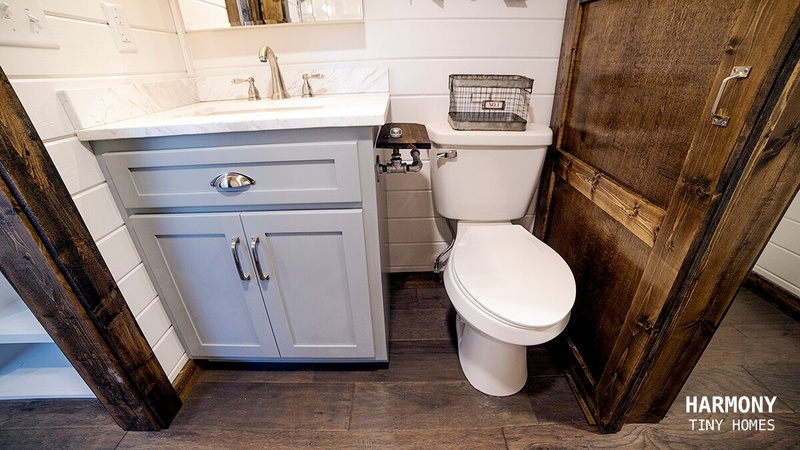 From Harmony Tiny Homes of Oxford, Alabama, the Blue Moon is a 32' model with an eye-caching exterior and a stylish, homey interior. 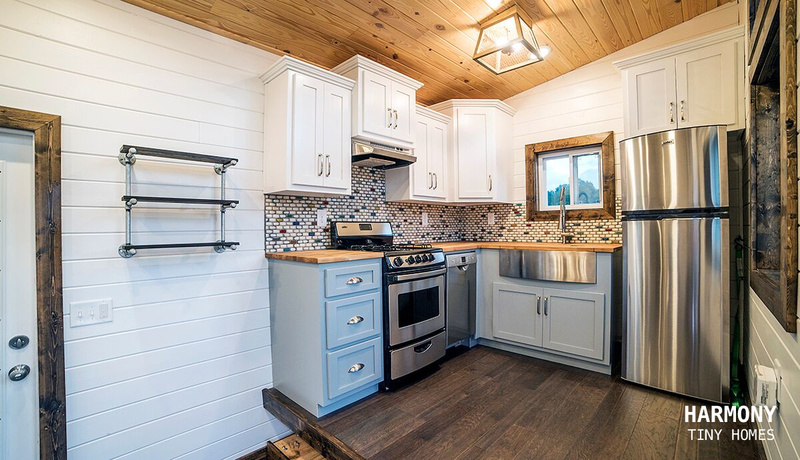 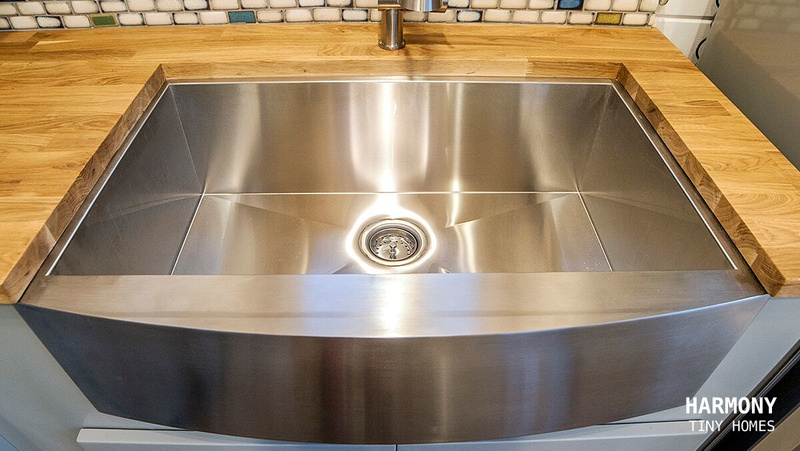 The interior of the home features a raised full kitchen with a stainless steel sink, stove, and fridge. 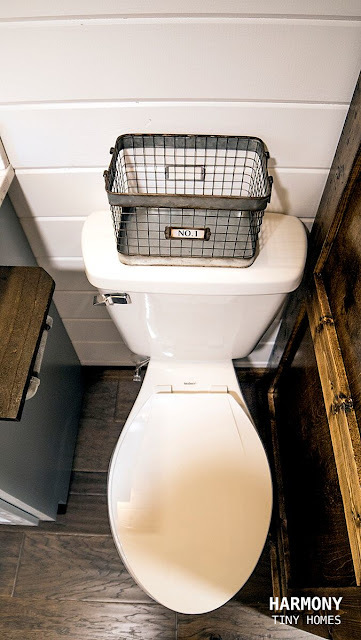 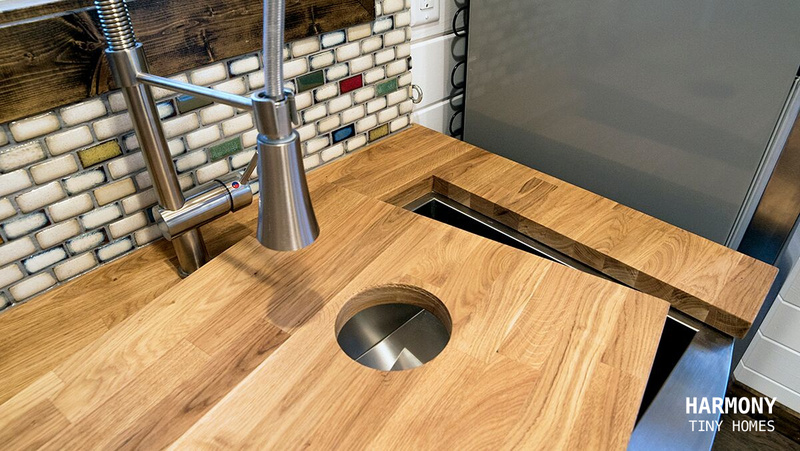 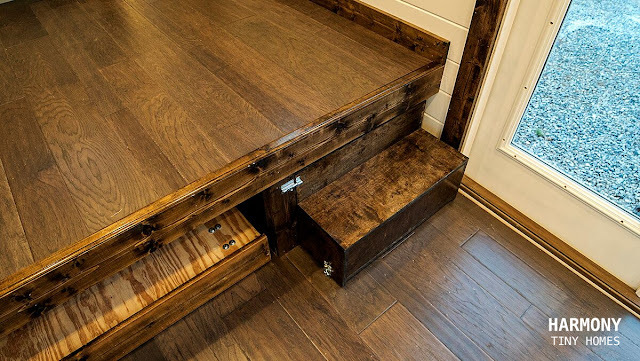 Directly under the kitchen is 8' deep pull-out storage with a trundle that can fit a queen-sized bed! 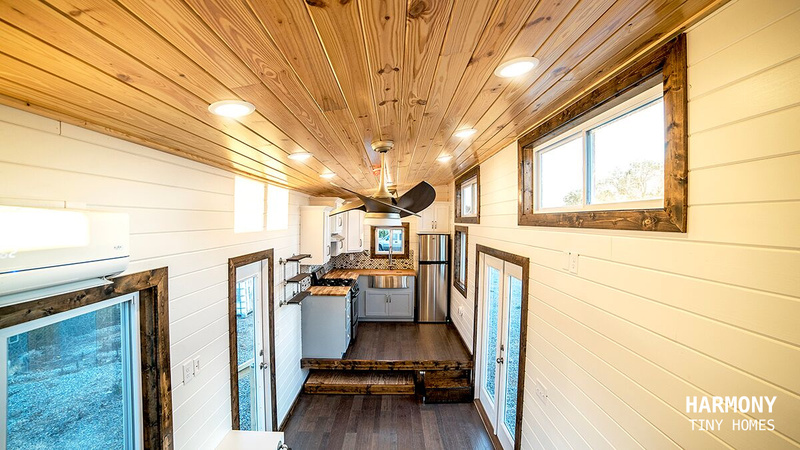 Also available inside the home is a living/dining space with a fold-out table, a bathroom, and a walk-in closet with a washer and dryer. There's also an upstairs loft bedroom, accessible by stairs! 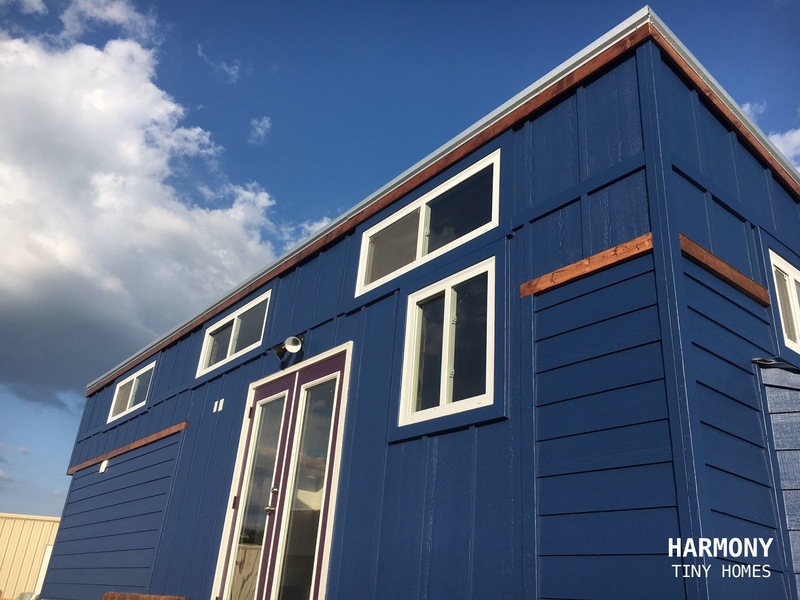 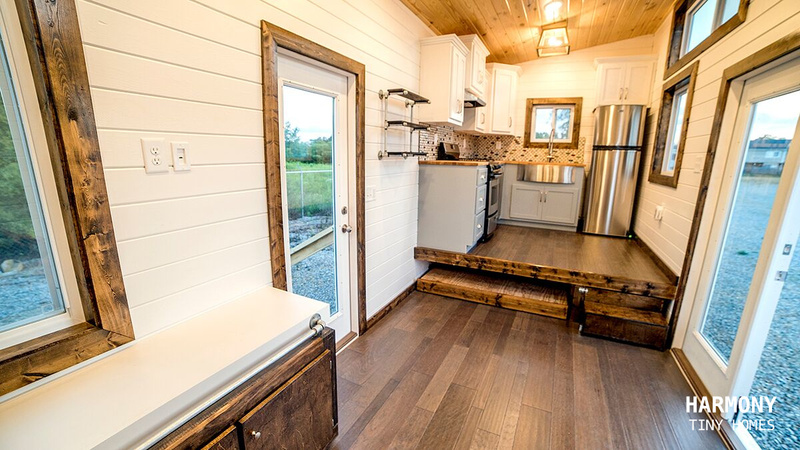 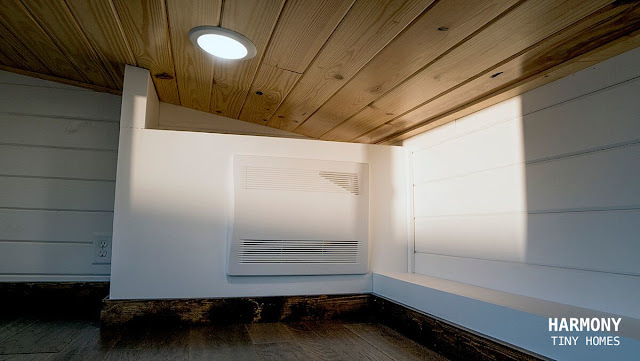 For more information on this build and/or to work with Harmony Tiny Homes, contact them here! You can also check out another model from the company, The Youngstown, here!